Rango came out on DVD/Blu-Ray today. 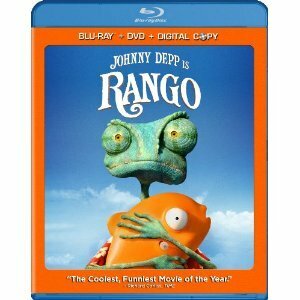 Get the Rango (Two-Disc Blu-ray/DVD Combo + Digital Copy) for just $14.99 shipped. You can also purchase the DVD only for just $10.99 (use the same code as above). Shipping is free w/ Amazon Prime/Mom/Student. We have not seen this movie yet, but it looks cute!